If you want to change the world, you must change the values held dear by the entrepreneurs who inhabit it. MikeDillard.com is for entrepreneurs who want to achieve greatness. Who wants to leave their mark on the world, and create a legacy of honor, integrity, and achievement in every aspect of their lives. 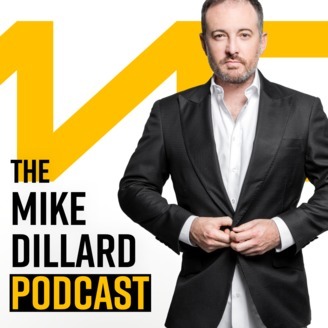 Join the MikeDillard.com community as we bring mentors into your world who can help you build a life of excellence in business, relationships, health, finance, and legacy. Learn more at www.MikeDillard.com. 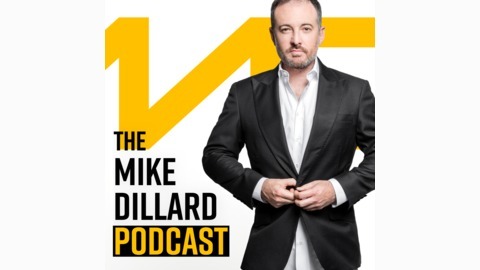 Welcome to the Mike Dillard podcast, where entrepreneurs like you, get the knowledge and skills you need, to bring your dreams to life. Today we’re joined by the one and only, Dean Graziosi, and I predict that you’re going to see Dean absolutely everywhere over the next two weeks because he’s partnered up with my friends Tony Robbins and Russell Brunson, to launch a new software and education company this week that’s designed to help people like you, turn your knowledge, your passions, and your expertise into a new 7-8 figure career. The information business has continued to grow by leaps and bounds over the last decade because the technology that’s now available to you and I, has made it easier than ever for us to get our message out to the world. If you think about it, you and I have an entire mobile TV station and distribution network in our pocket, and we also have the ability to put targeted ads right in front of the right audience, at the right time, with the right message with a few clicks of the mouse. It has never been easier to make money by helping other people solve their problems than it is right now today. Dean has sold over $1 Billion in books and courses during his career, and I’m closing in on $100,000,000, and neither of us had any idea what we were getting into when we starting writing, started recording, and started sharing our knowledge with the world. We didn’t have any titles or special degrees, and we didn’t have a huge track record of success. Heck, I was still waiting tables when I wrote my first E-book sharing what I had learned with others so that I could help them, and that E-Book ended up making me a millionaire within the next 18 months. So how do you get into the information business, and what business model should you choose… Should you write an Ebook, create a course, start a mastermind, or pursue coaching. Well, one of many questions we’re going to answer for you here today, and if you want to check out the amazing new software and training that Dean and Tony created to help you launch your own information business, head to JoinMikeDillard.com to check it out. Considering who is involved, I have a feeling this could be the largest product launch in history, which means that this is an opportunity to capture and study their entire marketing campaign. Modeling what is already proven to work is always the fastest way to success, so head to JoinMikeDillard.com, and start to really watch and study this campaign as it unfolds over the next two weeks. Save their emails. Record and transcribe their videos because once it’s over, you’ll have lost your chance to add this campaign to your library.